A Federal Aviation Administration reauthorization bill that was passed by the Senate on Wednesday excludes key privacy provisions, including a requirement that commercial and government users of drones disclose whether they collect personally identifiable information. The bill, which is a compromise short-term extension to ensure continued funding at current levels to the FAA, next goes to President Obama to be signed into law, two days before the current authorization is to expire. It was earlier passed by the House of Representatives. But U.S. Sen. Edward J. Markey (D-Mass. ), a member of the Commerce, Science, and Transportation Committee, said the new bill, called the FAA Extension, Safety, and Security Act of 2016, was “a missed opportunity.” It does not include drone privacy provisions that he authored and were included in the Senate version of the FAA reauthorization bill that passed in April, the senator said in a statement. Civil rights groups have demanded drone privacy regulations in the wake of moves to liberalize the use of the unmanned aircraft for commercial and other purposes. The Electronic Privacy Information Center said the reauthorization had grounded privacy safeguards, though its proposal to require remote identification of drones had been included in the new bill. The provisions in the bill passed by the Senate in April would require that government and commercial drone operators disclose whether they collect personally identifiable information about an individual, including by using facial recognition. Operators would also be required to disclose how they would use the personal data, its use for advertising or marketing purposes, and when the sensitive information would be destroyed, according to Markey. 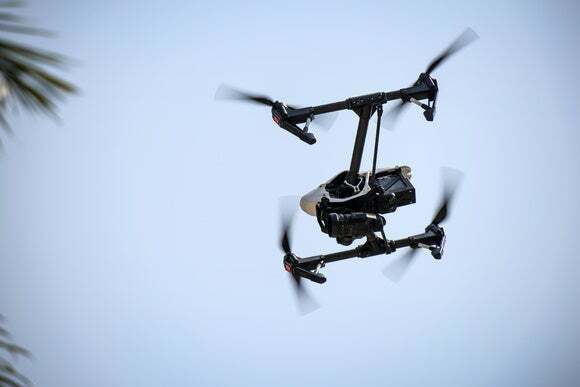 The bill would also have required that government operators disclose their drones' location, purpose of flight and technical capabilities, such as cameras or license plates readers. Last week, leaders of the House Transportation and Infrastructure Committee and the Senate Commerce, Science, and Transportation Committee announced a bipartisan agreement on an extension of the FAA authorization through Sept. 30, 2017, while Congress brokers a long-term reauthorization of the FAA. The bill passed Wednesday would prohibit drones from interfering with emergency response activities, such as wildfire suppression and law enforcement, and provides for civil penalties of not more than $20,000 for those found in violation. Drones are also to be used for firefighting and restoration of utilities. The legislation also has provisions for setting up a pilot program for mitigation of airspace hazards at airports and other critical infrastructure using unmanned aircraft detection systems. The FAA, in consultation with other agencies, would also have to meet with industry stakeholders to reach a consensus on standards for remotely identifying operators and owners of unmanned aircraft.